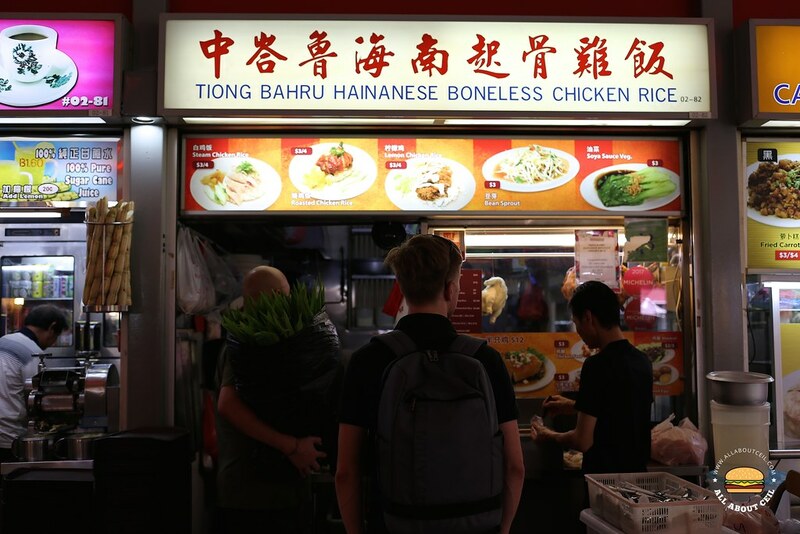 There are many Chicken Rice stalls in Singapore but this particular one at Tiong Bahru Food Centre is awarded Bib Gourmand by Michelin for 2016 and 2017. 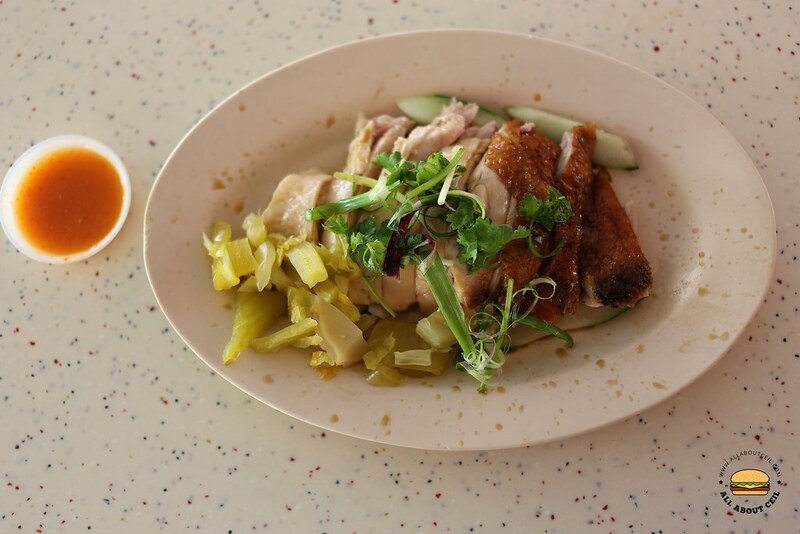 Cheong Weng Wah, 48, the owner, grew up in Tiong Bahru prior to starting his stall in 1988. He was only 20 years old then and just completed his National Service and he happened to know a friend that used to work as a cook at Chatterbox in Mandarin Hotel, cooking the legendary Hainanese Chicken Rice. This particular friend imparted the skills and given the recipe to him. He further improvised by experimenting and improved on the recipe. 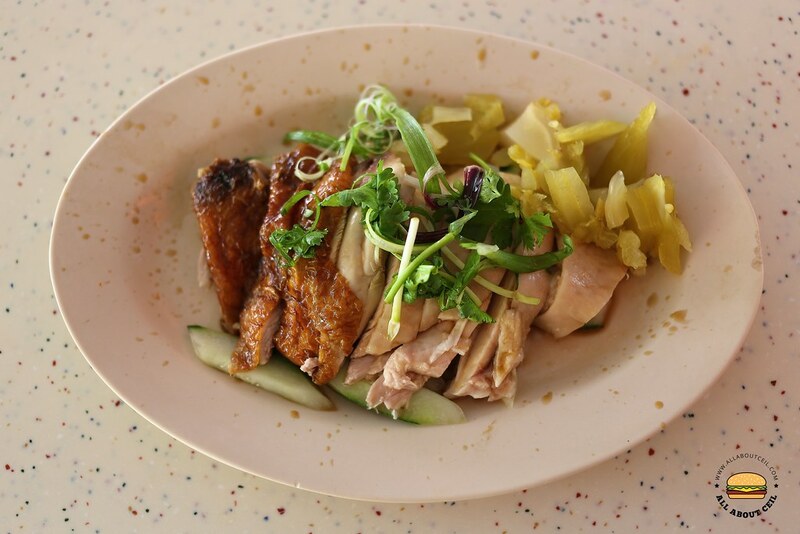 Other than the Hainanese Boneless Chicken Rice ($3), there is also Roasted Chicken Rice ($3), Lemon Chicken Rice ($3) and side dishes like the Soya Sauce Vegetables ($3) and Bean Sprouts ($3) on their menu. I was there for a late lunch but there was just another customer right in front of me. 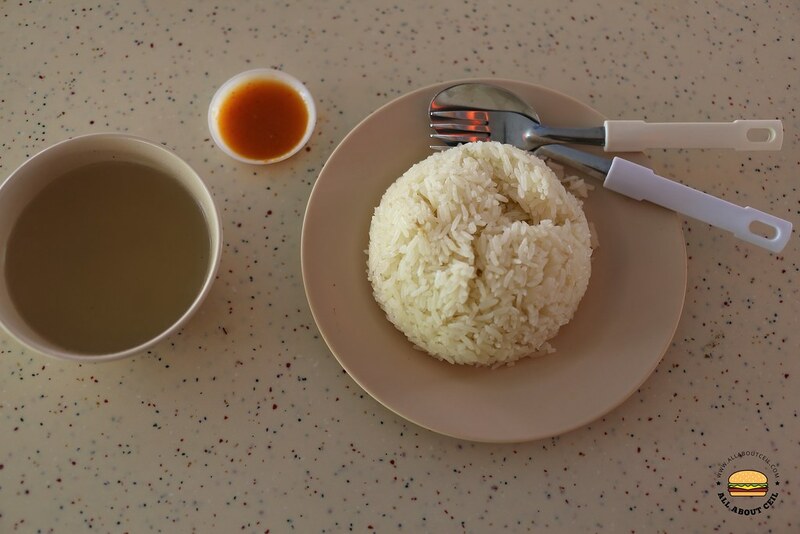 I wanted the combination of blanched chicken and roasted chicken with a plate of rice for $5.00. The blanched chicken was smoother and juicier but the roasted chicken was more flavorful, both were equally good though I would prefer the roasted chicken a little more. It was served with a portion of salted vegetable, which is not quite common. Onion is added as the special ingredient to the rice apart of the usual garlic, ginger and spring onion, that making it different from the others. The texture of the rice was fluffy and not greasy. This might not be the best Chicken Rice that I have tasted but this is definitely above average. Though, there were some negative reviews about this stall but I was honestly impressed with what I had eaten. There is also another outlet by the same name in Chinatown that is run by his elder brother and his other brother has another outlet at Changi Village.